Valentino is staging a major retail operation with Parisian department store Le Printemps. 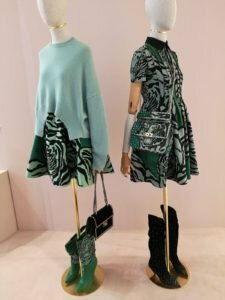 The Italian luxury label, which recently showed its couture collection in the French capital, will feature for seven weeks in the main lobby of the Parisian department store in boulevard Haussmann, opening a pop-up shop of nearly 100 m2. Never before has Valentino engaged in such a significant initiative with a department store. The Valentino logo is the central theme of the space. It appears unexpectedly through special lighting effects such as neon on the polycarbonate walls surrounding the arches creating on element of surprise. 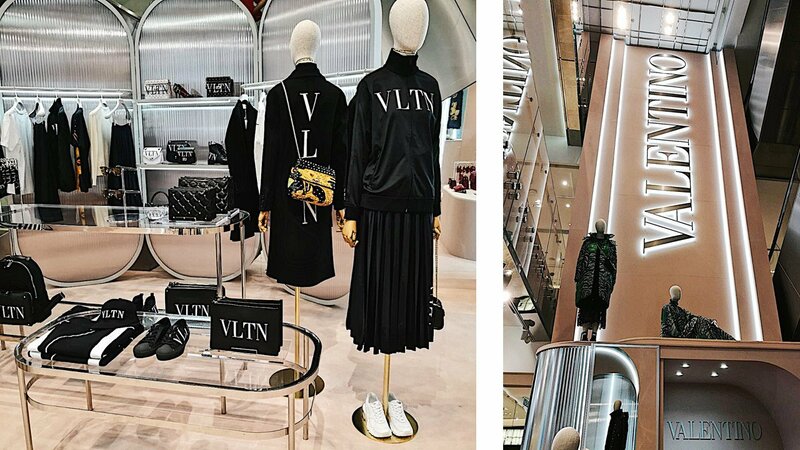 For the initiative with Le Printemps, Valentino’s Creative Director Pierpaolo Piccioli designed a limited-edition, exclusive six-item VLTN capsule collection, consisting of a pair of sneakers, a clutch bag, some small leather articles and a t-shirt, all of them labelled ‘Valentino Loves Printemps’. The Valentino pop-up store at Le Printemps will look like an Italian palazzo, reinterpreted with a metropolitan touch. 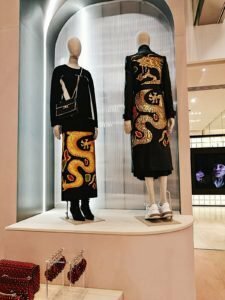 “The Valentino logo is the central design theme of this pop-up store. 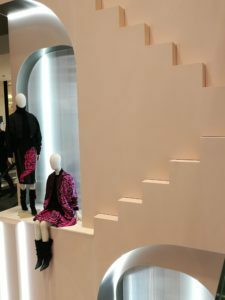 Special lighting effects, such as neons on the polycarbonate walls around the arches, create an element of surprise,” wrote Valentino in a press release. The collaboration is part of the ‘Printemps Palace’ initiative, which the department store revamps each summer, making over its shop windows to look like a grand hotel. This summer, ‘Printemps Palace’ will run from July 19 to September 2, putting Valentino and Bulgari centre stage with the help of photographer Fabien Montique, who has recreated for Le Printemps the feel of palace living in three prestigious Paris hotels: La Réserve Paris, the Hotel de Crillon and the Park Hyatt Paris-Vendôme.